I’m happy to share with you a great new recipe (well, new to me) that I got from a friend a few weeks ago. 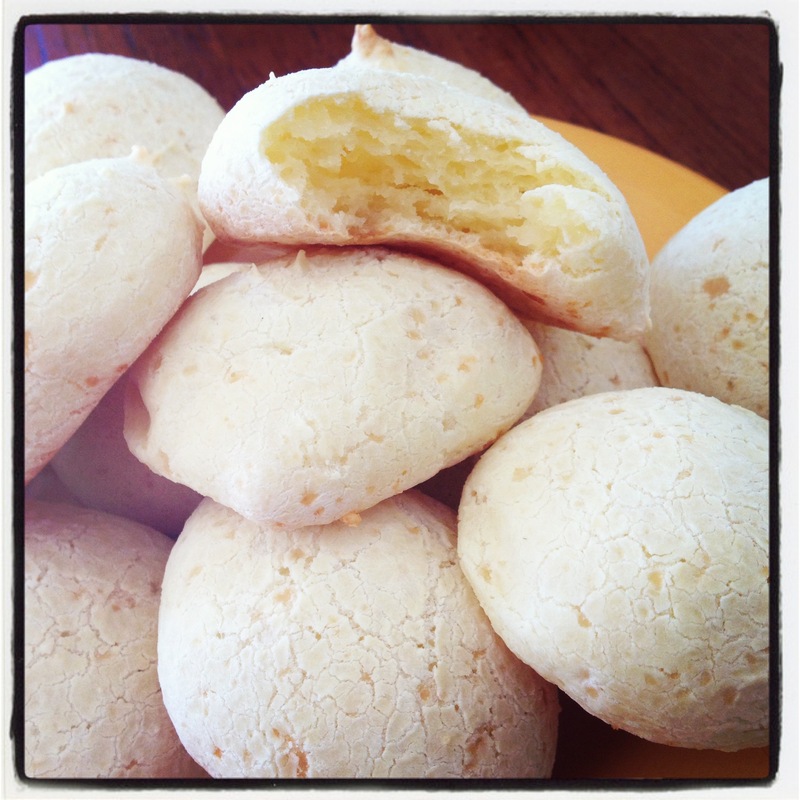 She’s Brazilian, and this is the recipe her family always uses. I’ve done a little Googling and discovered many variations on this recipe, but since this one here is the one she gave me, so it’s exactly what I’m passing on to you. They’re made with tapioca flour, which I just learned is flour made from yucca (also known as cassava), which is something I’ve used before to make homemade “french fries,” but never thought of as a flour. Ya learn something new every day. It also means that these are grain-free and gluten-free, but by no means do they skimp on deliciousness. In fact, they were so good, I had to bag up half the batch while they were still warm to give to my friend before I ate them all! My “cheesy bread balls” turned out super-duper delicious when made according to this recipe, but if you try something different, I’d love to hear your adaptations! Now I’m off to enjoy the solstice in the sun with a run and some good reading. Have a fabulous weekend and a beautiful summer! Boil the milk, water, and oil in a saucepan for 5 minutes. Pour the liquid over the flour slowly, mixing with a spoon. Let cool for a few minutes. Stir in one egg, then the other, and finally the cheese. With oil-moistened hands, roll the dough into balls and place on an oiled cookie sheet. Do you have a favorite low-carb bread?